told the Arab League summit on Sunday. US President Donald Trump last week signed a proclamation recognizing the Golan as Israeli, less than four months after saying Jerusalem is Israel’s capital. 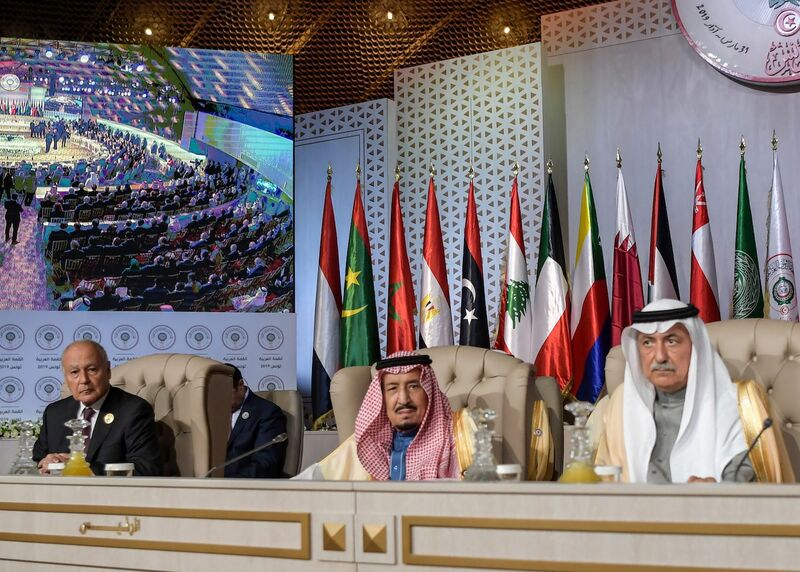 King Salman said at the Arab League summit in Tunis that he absolutely rejectsany measures that impact on Syrian sovereignty over the Golan Heights. He also reiterated Saudi Arabia’s position supporting the establishment of a Palestinian state in the West Bank and the Gaza Strip, with East Jerusalem as its capital. He said the Palestinian issue was a top priority for Saudi Arabia. Tunisian President Beji Caid Essebsi said that the Golan Heights is occupied Arab land, and rejectedthe US decision over sovereignty of territory. Arab League Secretary-General Ahmed Aboul Gheit said that the US decisionis contrary to all international conventions. He also said thatIran and Turkey have "worsened some crises and created new problems," calling on Arab leaders to "unite as one force under one umbrella against the regional interventions." Meanwhile, Qatar’s Sheikh Tamim abruptly left the Arab League summit after it opened and did not give a speech, Qatar News Agency reported. Heleft the Arab League summit "in protest at criticism of Turkey,” Al Arabiya reported citing news websites close to Qatar. Arab League spokesman Mahmoud Afifi said earlier that the 22-member bloc will aim to issue a proclamation affirming the international consensus that the Golan is occupied Syrian land. King Salmanpraisedthe positive outcome of the Arab League Summit as he leftTunisia. 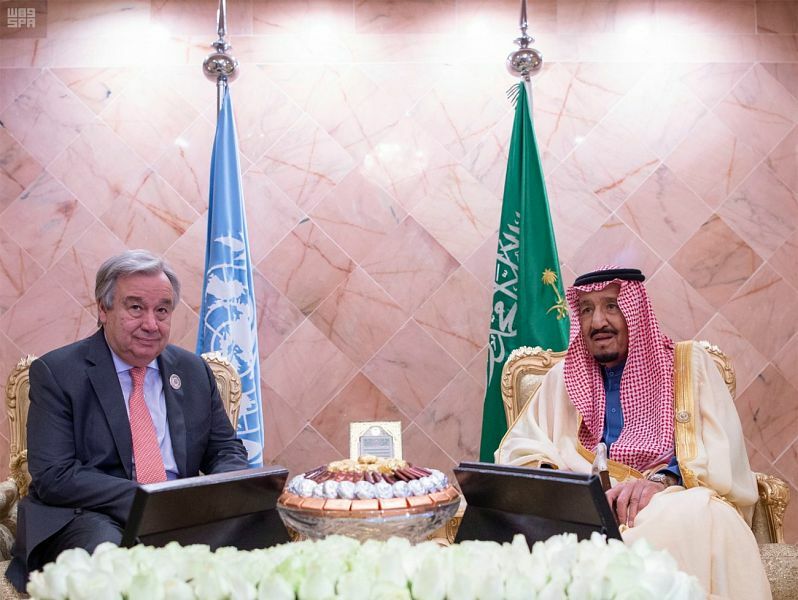 The king alsomet with UN Secretary-General Antonio Guterres on the sidelines of the summit.During the meeting, they reviewed regional developments and various efforts aimed at achieving peace and stability in the region. In their final statement after the daylong summit, the leaders affirmed that the Golan, a strategic plateau once used to shell northern Israel, is "Syria's occupied territory." The leaders alsocalledon Iran to stop interfering in the internal affairs of Arab countries and condemnedthe Houthis' firing of missiles into Saudi Arabia. 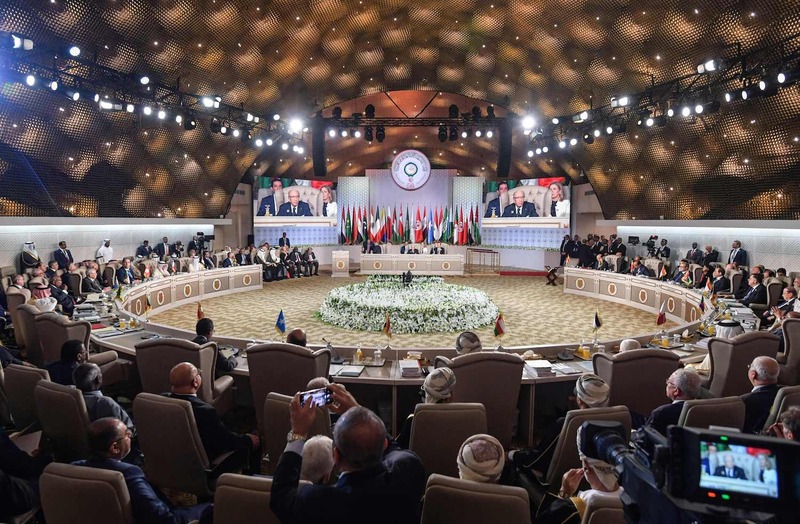 The annual summit also addressed the issue of readmitting Syria as a member of the Arab League, the Israeli-Palestinian conflict, Iranian interference in Arab countries, and the war in Yemen. The pan-Arab bloc froze Syria's membership in 2011 over a bloody government crackdown on protesters. Many Arab countries have recently renewed ties with the government of President Bashar Assad. [Breaking News:-] Xukumadda Somaliland Oo Shaacisay Inay Dalka Ka Saarayso Dhakhaatiir Ajaanib Ah [Muuqaal].